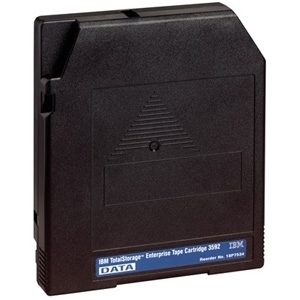 IBM TotalStorage Enterprise Tape Cartridges 3592 are designed to work with the first-generation IBM TotalStorage Enterprise Tape Drive 3592 Model J1A (3592 J1A tape drive) and the second-generation IBM System Storage TS1120 Tape Drive (TS1120 Tape Drive). Cartridges are available in two lengths and in either re-writeable or Write Once, Read Many (WORM) formats. The short length 3592 JJ/JR cartridges provide rapid access to data and the standard length 3592 JA/JW cartridges provide high capacity.